As the days count down to Watertown, South Dakota, and the MD5 Lions Convention, my excitement and anticipation grows. For those of you who have been following my blog throughout the campaign, you know how much the opportunity to continue my Lions service at the international level means to me and you have learned about where my heart is–in service to those who need a helping hand to lift them up and give them hope for a brighter tomorrow. 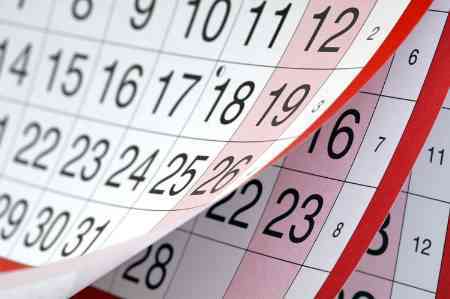 Sometimes, it seems like getting to May 31 will take forever; other times, the days go by quickly because they are filled with positive activities that become wonderful memories for those involved. Kathy and I have become used to busy days in May because both of us are involved in graduations and other end of the year activities. This past weekend, several events occurred that were very positive events; and served to focus my attention on important moments in the lives of others. I’m speaking of NDSU’s spring commencement ceremonies and the official chartering of the Davies Griffins Leo Club in Fargo. First, as a senior professor at NDSU, I regularly participate in spring commencement exercises; and second, as a Lion who keeps service and support in the foreground, I took some time to help the Davies Griffins Leo Club with their service project and then inducted the charter members as part of their special chartering event. Campus club advisor Lion Robert and NDSU Club President Shane celebrate graduation! 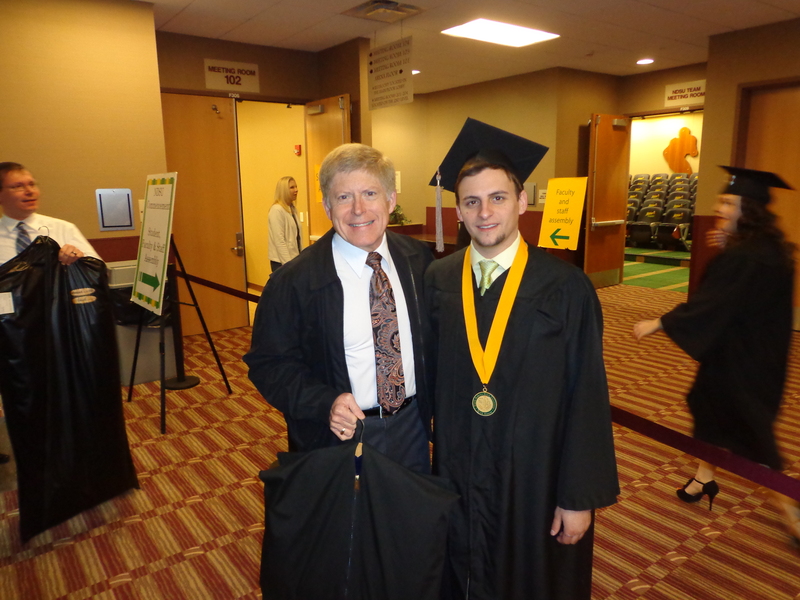 My weekend began at the NDSU graduation ceremonies. I always enjoy watching students receive their diplomas, but this year took on special meaning because some of the campus Lion leaders I have come to know well through our service together were beginning the next phase of their lives. One in particular was NDSU Lions Club President Shane Hofer who graduated from NDSU with honors. He already has a position with a regional business located in Fargo so he is well on his way to the start of a successful career. His past year as the NDSU Lions Club president was marked with success as he established a signature project for the club working with the North Dakota Association of the Blind on the NDSU Bison Walk for Vision. He guided the club through several fundraising and service projects that resulted in the club completing its first Melvin Jones Fellow donation to be presented in the near future. He established a relationship with the Davies Griffins Leo Club and assisted with a joint training/leadership development retreat. In addition, he has been an inspiring campus Lion who organized for club members to travel to the North Dakota Lions Convention in October and the South Dakota Lions Convention in January. He will be in Watertown; and his support on my campaign committee representing the next generation of Lion leaders has served as a constant reminder of why my service involvement with young people will always be at center of my commitment to Lionism now and in the future. I am so pleased that he will be transferring his membership to the Fargo Lions Club beginning in the fall. Congratulations, Lion Shane, on the what you have done and what you will do in the future! After graduation, I had the opportunity to participate in a service project and charter celebration for the Davies Griffins Leo Club in South Fargo. 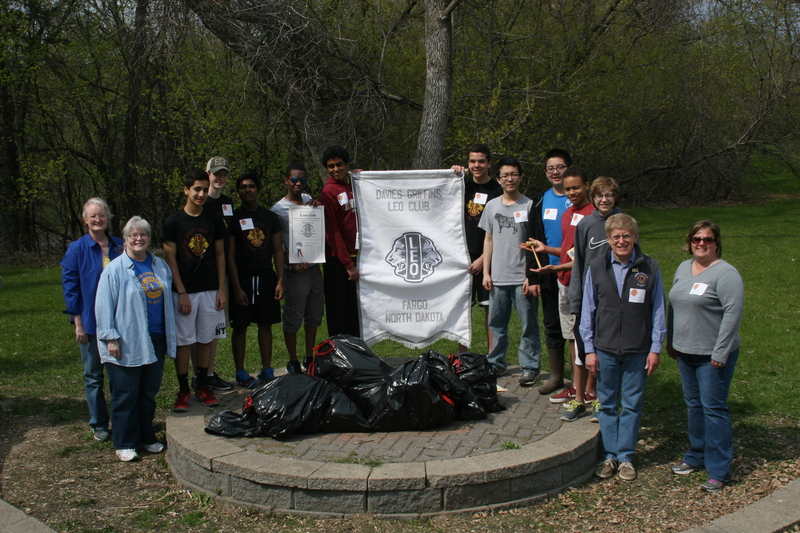 The Leo Club members completed a service project to pick up trash at the Lions Conservancy Park. The impetus for the Davies Griffins Leo Club began following the ND Lions speech contest held in October, 2012. The winner of the contest, Lalit Saravana was a freshman at Davies High School. After learning about Lionism and its commitment to community service, Lalit approached me about starting a Leo Club at his school. 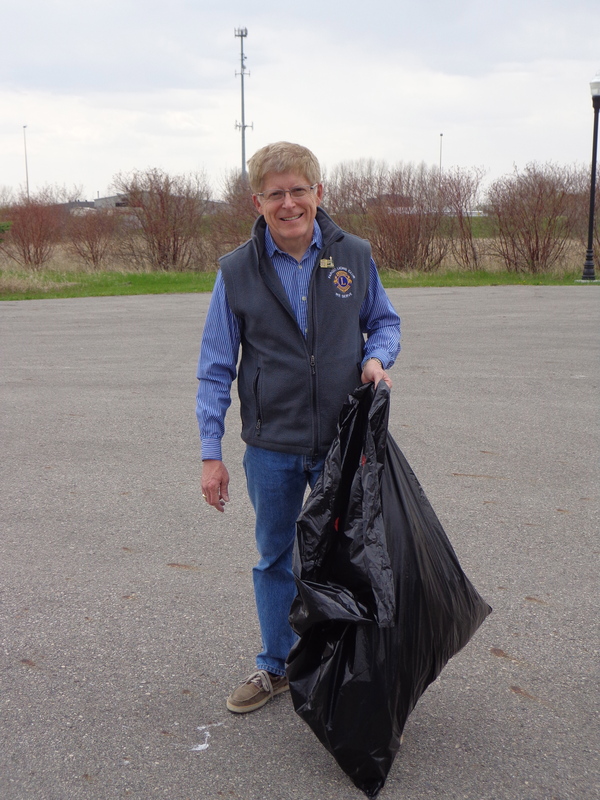 It wasn’t long before DG Katherine Tweed was involved, a club sponsor was identified, and other adults, including Fargo Lion Jane Pettinger joined the effort. The Leo Club sent in its paperwork at the end of the 2013 school year and this past fall, the Club members officially began their service activities and building their membership. We Lions often say that it’s impossible always to know the impact of our service. But, in this case, when the North Dakota Lions provided an opportunity for young people to speak up last year at the State Convention in the annual Speech Contest, the result was a group of students deciding they wanted to make their own commitment to Lionism and they started a Leo Club. It was wonderful to hear the first Leo President Lalit talk about what his dream was when he took steps with some of his friends to start the Leo Club, and when the next president, Davyd spoke about his dream for the future, I was impressed with their commitment and determination to make a difference. The core of membership for this Leo Club is comprised of sophomores and they have big plans for next years. Already, club members are considering their participation in the MD5 summer youth camp in Medora being coordinated by Lions Judy and Mac Beaudry of Washburn. What a great weekend! New beginnings for young Lions and Leos. For those who have been following my blogs, as I write this I am airborne, flying across the country to Boston to present a program at the American Society for Microbiologists. I was invited to share my research about how to communicate the risks associated with infectious diseases with vulnerable publics. My speech in Boston is an example of how my work at the university has provided me with many opportunities to interact with different groups of people from around the country and world about a wide range of topics. This ability to communicate with different groups is a quality that I hope the Lions of MD5 will consider as a skill that will serve me well if I am endorsed to run for the position of International Director. Thanks for reading! One week to go and I can’t wait! Thank you for all you have done for so many years for so many youth. You have been the coach who is instrumental in helping young people find their voice, develop a vision and honorably celebrate success. Your role modeling and heartfelt support make significant positive growth experiences possible for young people. Stay young!